With many popular space movies are published these years, space toys become the hot and popular toys all over the world. Therefore, we make a new series of space toys – X Energy series to fulfill the toy market needs. Blasters, Guns, Swords, Sabers and Axes, they are the special space weapons with the dynamic sound and ultra light. 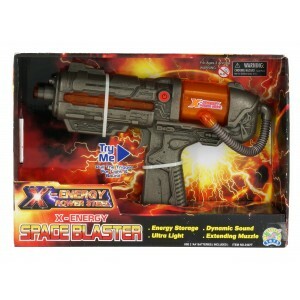 The X energy is charging in the powerful weapons, the kids must love them very much.